* Icons with zoom effect. 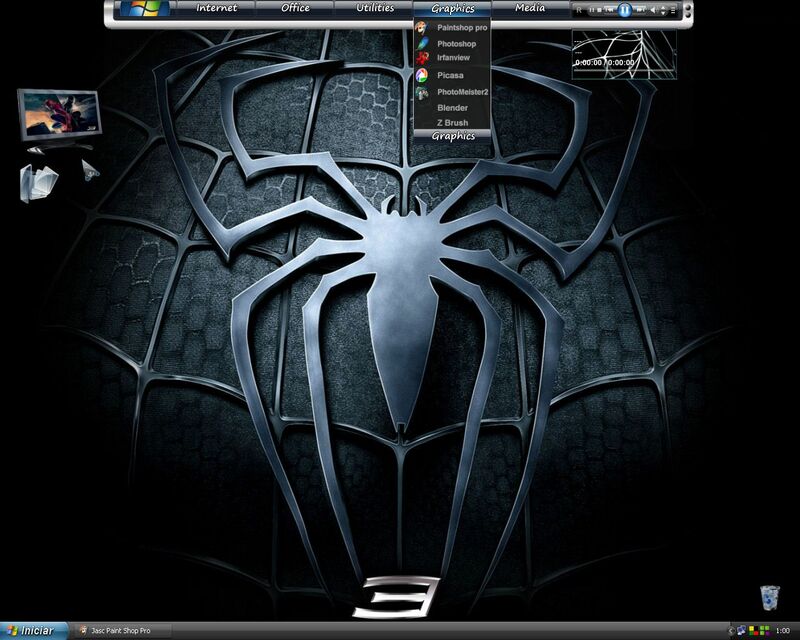 Excuse me, but besides the wall (that is not included for obvious reasons) and 1 icon, what is the Spiderman 3 reference ? It more looks like WMP11/Vista than anything else. Not to make it bad, but sometimes I don't understand people jumping on popular items and naming their creations totally unrelated to the content. The PC icon and the player display, too. It more looks like WMP11/Vista than anything else. Vista? Why Vista? You only found the WMP11 player vista like. Yeah I go with c242. There must be a rocking theme on spiderman 3 not like this irrelevent one. there are no spiderman like colors or anythingelse like webs etc.